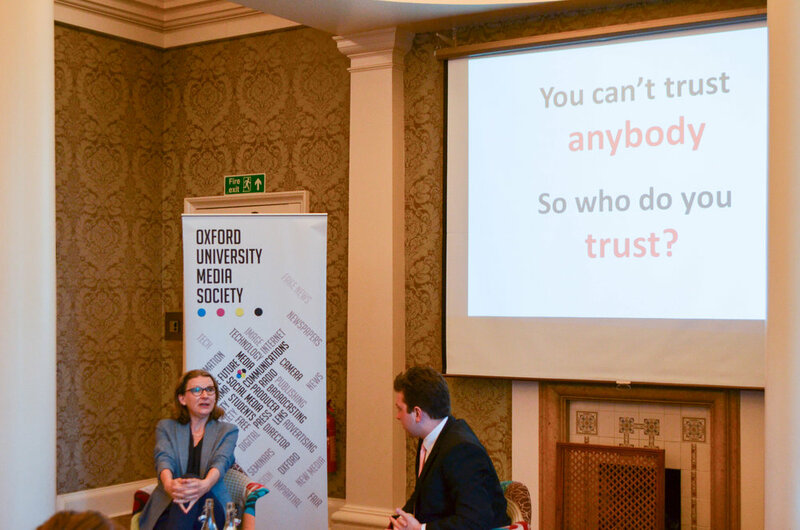 Mary Hockaday, the current Controller of the BBC World Service English, came to talk to the society about investing in investigative reporting, attacks on journalists and how to combat fake news. Ed Williams, CEO of Edelman in the UK and Ireland, visited the society to discuss the future of journalism as he sees it. Simon Lewis is the former Communications Secretary to the Queen and PM Gordon Brown. Mr Lewis also has experience in the private sector and is credited for reinventing the Queen's image after the death of Princess Diana. Dara Nasr discussed the use of data following the recent Russian bots and the Facebook/Cambridge Analytica scandals. During the event, news broke that Cambridge Analytica were filing for insolvency proceedings and closing down.